This is a public endorsement by The John Ford Initiative. Visit http://johnford.ufoteacher.com and please make a donation today. Hello, my name is Richard Smith. 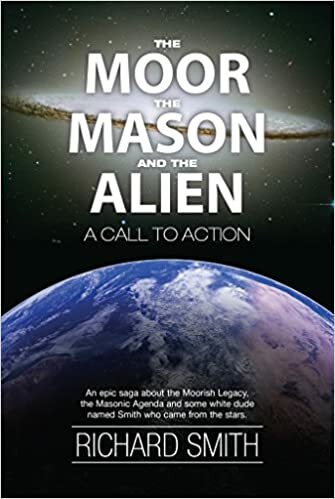 I am an international speaker and author on the subject of ancient history, UFOs, the Moorish Legacy and human origins. I am also a guest on The John Ford UFO Nightmare hosted monthly by Inception Radio Network. I highly recommend listening to, endorsing and supporting Inception Radio Network in their strident efforts to help FREE JOHN FORD NOW! Catch the show airing monthly every second Sunday at 9:00 PM EST | 6:00 PM PST at http://InceptionRadioNetwork.com. This is a powerful monthly news report hosted by Inception Radio Network on Sunday at 9:00 PM Eastern / 6:00 PM Pacific. All of the key people involved with the effort to FREE JOHN FORD NOW will be in attendance as part of the guest line up on this round table style show airing LIVE the second Sunday of each month. Key guests, researchers, associates, friends and legal experts will be in rotation on the monthly shows aired in continuance thereafter. All donations to the the John Ford Initiative will be solely used to assist and pay for attorney fees and legal expenses that have been incurred in order to retain the rather important and much needed legal services of his defense attorney, The Law Office of Robert Reno, Attorney at Law.